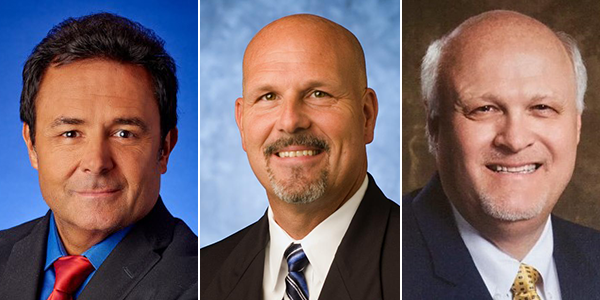 The Kroger Co. has promoted two division heads in announcing the upcoming retirement of Atlanta Division President Bruce Lucia, who has been with the company for 44 years. Plans call for Lucia to retire on Sept. 1, Cincinnati-based Kroger said. He has served as president of the Atlanta division for more than 17 years. The division includes Kroger Co. stores in the Atlanta, Savannah and Augusta, Ga., metropolitan areas. Succeeding Lucia will be Tim Brown, currently president of the Cincinnati/Dayton division. Brown is slated to start in his new role on Aug. 1. Taking over for Brown as Cincinnati/Dayton division president will be Scott Hays, now president of the Michigan division. Kroger said Hays’ successor will be announced at a later date. "In his more than 40 years with Kroger, Bruce has earned the admiration and respect of his teammates by forging real, genuine connections with associates and customers," Chairman and CEO Rodney McMullen said in a statement. "Bruce has been a tremendous mentor to countless associates throughout our business. He will leave a legacy of strong, hard-working teams who care about each other. We wish Bruce and his family all the best in retirement." Lucia became Atlanta division president in 2000. He started his career at Kroger in Atlanta in 1974 as a clerk and then, after graduating from the University of Georgia, he served as store manager, field specialist and district management in the Atlanta division. From 1987 to 1996, Lucia went on to hold leadership roles in Kroger’s Nashville, Central, Columbus and Michigan divisions. He was named Michigan division president in 1996 and was appointed president of the Columbus division a year later before being promoted to his current role. Brown has served as president of the Cincinnati/Dayton division since 2015. He began his career at Kroger at age 17 as a bagger. In 1981, he joined the company's management training program and has since served in leadership positions in nine of Kroger's retail divisions. He was promoted to vice president of meat, seafood and deli/bakery operations in the general office before being promoted to vice president of merchandising in both the Columbus and Atlanta divisions. In 2010, he was named vice president of operations for the Mid-Atlantic division and then, in 2012, was promoted to president of the Delta division. "His leadership in supporting Restock Kroger will continue to drive business results in our Atlanta Division and help us achieve our vision to serve America through food inspiration and uplift,” McMullen commented. Kroger noted that Hays, Michigan division president since September, came to the company “with a wealth of food retail experience” when he started as vice president of operations for the Fry's division in April 2017. Hays began his grocery career at Albertsons in 1983 as a grocery clerk and later was promoted to store director, district manager, area vice president and vice president for the company's San Antonio division. He also served as vice president of operations for Jewel-Osco in the Chicagoland market and division president for Albertsons’ Dallas-Fort Worth market before coming to Kroger. "In just a short time with the company, Scott has already made a lasting impact," according to McMullen. "Scott's passion for people and wealth of grocery and retail experience makes him an ideal leader for Kroger as we work to redefine the customer experience. We look forward to Scott's leadership of Restock Kroger in our Cincinnati/Dayton division." Kroger operates 2,779 retail food stores under more than 20 banners, including traditional supermarket, multidepartment, price-impact warehouse and marketplace formats.